Twin Flame Energy Forecast Nov 19th-25th: "Infusion Of Light"
We have an infusion of powerful energy, which can be a tough current to master. Will it pull you into conflict, or can you use it to achieve your highest goals and dreams? But first, a reminder: If you’ve been struggling on your journey lately, do make sure you download and use my Free Energy Cleanse Audio that will clear out heaviness from your chakras and aura, and infuse you with new high vibration light! After my Twin Flame and I reached Union I was guided to create the Vibrational Alignment Program and the Free Pack of Downloads available for all Twin Flames! You can get my sample energy clearing for Free here – warning, ‘may cause miracles’! Energy Boost – What Will You Do? So onto this week’s forecast! There’s a lot going on and it might feel uncomfortably intense – but you’re likely to experience big shifts if you can master the current! Because this week you may feel as if you’ve had your batteries recharged! A massive boost of energy gets released into the world at the start of this week as Mars and Jupiter make a square. It’s go, go, go all the way. The challenge is, there’s an imbalance to this. Tension. These two energies don’t flow smoothly together. One strong indication for Twin Flames in this period is the masculine Twin railing against spirituality and the “awakened Twin’s” point of view. Another issue many will be faced with right now is impatience. Worries that dreams and goals seem awfully far away… That nothing much is “happening”. Especially with your Twin Flame situation. Irritation is likely… Blame can be cast. Ask yourself as calmly as possible – what is your long-term aim? What actions can you take in the now moment to get there? Are you aligning with love or with fear? 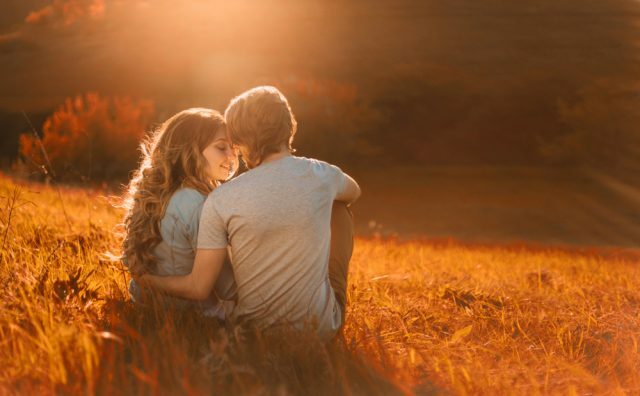 On the Twin Flame path and in life it’s essential to keep an eye on our “innate GPS” – and make sure we’ve got an idea where we want to be headed… Even if it’s just a feeling, or a desire to be happy and fulfilled. Setting goals has been shown to be scientifically effective – those who write down their goals are much more likely to reach them. So this week it could be good to use the power at hand to make sure you’re really benefiting from it – not just running in circles. Spirit highlights that the internet is more of a problem for many than we realize. So many of us spend precious time and energy looking at photos of other people’s lives, reading about other people’s opinions… And most often it gets us nowhere. Write down your 5 biggest goals for life, in the areas of experiences, achievements and contributions. 5 things you’d like to experience – i.e. swim with dolphins or live happily with your Twin Flame. 5 things you’d like to achieve – i.e. publish a book or start your own profitable business. 5 ways you’d like to contribute – i.e. fundraise for an organization you support, or lobby for a political cause. This can be a fun exercise, but again – it also is scientifically proven to make you more likely to achieve these goals! This Jupiter square Mars combination is only going to last a couple of weeks, and if you’re not careful you’ll find that you’ve committed yourself to doing way, way more than you can handle. This energy transit also indicates going overboard with action, irritation and forward momentum, so it’s indicated that acting on impulse can also badly affect your romantic life. You might jump in head first with someone, projecting onto them. 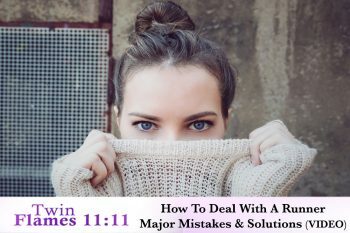 Or you might begin to doubt that your Twin is really your Twin – because you’ve not been feeling it lately… If that’s the case for you, read on. Remember that we can be “offline” to the connection sometimes! (Really, it means we’re congested). The Twin Flame bond can best be felt when we’re relaxed and open – in a state of love. When we’re agitated, stressed, preoccupied or frazzled with overworking… This stuff can cloud our perception of the “truth” of the connection. For best results clear congestion and that frazzled static of energy away from you and your counterpart (in alignment with Free Will) and you’ll be able to feel the resonance once again. The deep soul’s connection of unconditional love beneath it all. The glow you felt when you first encountered them. In the session, we go through a deep cleanse of both Twins’ chakra systems and all channels between the Twins – cleansing out all congestion, negativity, outdated ancestral programming and blocks to ensure the healthy functioning of your systems both individually and in interaction. This session will clear out potential triggers of running/chasing/separation and ensure that only high vibrational energies are blending between you. Plus, shielding for the Twin pair to protect you both from harsh outside energies, influence and congestion. We also update your information to clear out any patterns that may have been holding you back or blocking you. Click here to learn more and download! Over the next three weeks many will have a tendency to be more reckless and impulsive than usual. Stay as grounded as you can, and remember to shield yourself to avoid taking on other people’s irritation or stress energies. Patience is set to be in short supply. Conflict is another issue on the table this next period. And as you may know, Twin Flames can get powerfully triggered by one another. The next three weeks the above are all possible expressions of Mars square Jupiter in Sagittarius… But you can work this energy to your advantage by staying aware of your long-term goals and fueling your focus and effort into them! When you notice liberal use of shorthands (stereotypes) like Runner, Chaser, DM, DF, Cheater, Narcissist and more, you KNOW you have entered the realms of opposition and separation paradigms! And those templates create only more of the same. Remember “judgment and blame create and entrench separation”. And if they’d been born in your stead, they would in essence be you! Opposition is an illusion with Twin Flames – and this is a key Soul Lesson we’ve agreed to learn. Read more here in 7 Lessons The Universe Is Working To Teach You. With the Sun moving into Sagittarius on November 22nd, the focus is firmly on the big picture. We’re being challenged to think big, to reach into our own divinity. 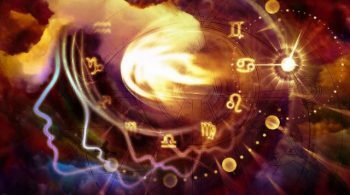 Especially now Jupiter is on his home turf too – he is the ruler of Sagittarius – there’s a new lease of life in the realms of belief, ideas and faith in the future. With the Full Moon in Gemini – sign of the Twins – the next day, there’s plenty of opportunity to be more open, invite new people into your life and revel in the exchange of ideas. The shadow side is that you may be pushed to confront outworn perceptions and ideals right now. What “Horse” Did You Bet On? Have you placed your stakes in optimism, that life is good and that love is real? Or have you been convinced to opt in to pessimism, cynicism, the idea that life is hard and people cheat or even… love is an illusion? This Gemini Full Moon is likely to “show up” with emotions, what you’ve been aligned with. The “end result” you’re headed towards… So that you can change it. Be aware you may also be reacting to your Twin Flame’s unconscious emotions in this period. 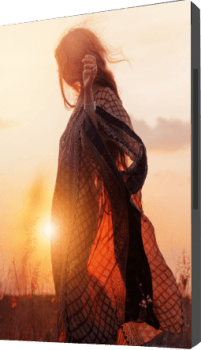 For best results use the Free Energy Cleanse Tool here, or have a look at this new resource I was guided to create for Twin Flames – uplifting your journey on “automatic”. When the energies of the Moon, ruler of emotions, and Mercury, ruler of the intellect, come together we experience an emergence of subconscious material up into the aware conscious mind. 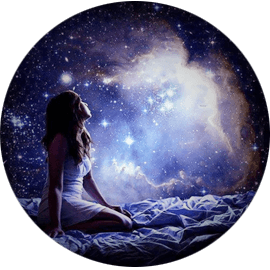 If strange dreams or memories pop up now, it’s an opportunity to resolve old issues that may have been clogging up valuable “closet space” in your subconscious mind. Time to let go. If you’re not willing or able to, it will kept being brought up until you do learn to let go. Your spiritual connection and higher perspective is helped by the fact that Neptune turns direct on the 24th. It’s been edging backwards since June, so chances are you’ve got used to the confusion it’s cast over everything – and likely you thought that’s just the way it is. Your spiritual communication may have felt blocked too… As well as your Telepathic link with your Twin. It’s set to improve now as Neptune goes direct, but for best results long term, have a look at this. 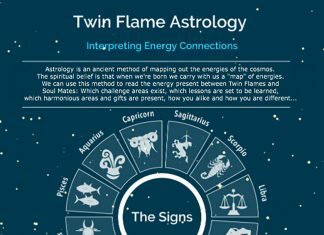 Did you know I was never in my life “psychic” or intuitive until I cleared my channels and energy – as a result of that, my non-physical connection with my Twin Flame and spirit opened dramatically! Click here to learn more and get started yourself. -How amazing would it be to tune into a situation and know the truth about it? -How loved would you feel every day to have the support of your guidance team, being able to ask them any question and get a clear answer? -How practical would it be to be able to tell when someone was lying to you? -Or to know which opportunity would pay off long-term? With Neptune changing direction, life begins to make more sense on a deeper level. You might feel a shake up on the day it turns around – it’s what’s called a ‘pivotal day’, one where changes are triggered within us. But it’s a gentle shake up, a soft dreamy feeling that everything is suddenly much better than you thought it was. And it’s not that Neptune is a liar, but it does have its own particular version of the truth… Traditionally Neptune and Pisces are associated with illusion and fantasy. Are You In The Driver’s Seat Or A Passenger? While Neptune has been retrograde, you’ve probably had to deal with the illusions you hold about yourself and the world. 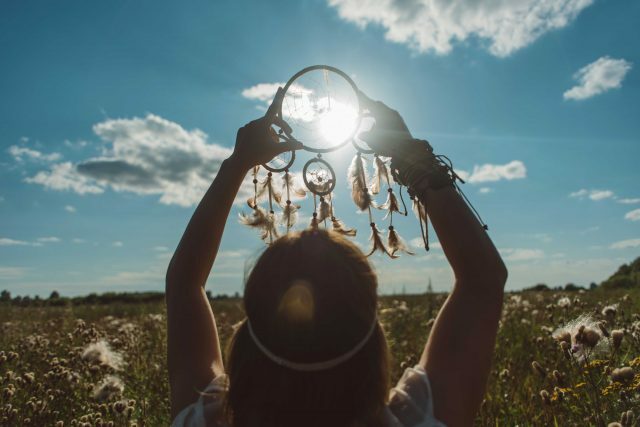 You deserve some dreaming time – but remember that for your happiest future to occur, you must be in the driver’s seat of your life. Ultimately, you’re here to be a conscious co-creator of your bliss! That’s your “mission” – to reach up as high as you can, and “bring heaven to earth”. The North Node representing collective soul’s development, moving into Cancer provides a clue. For the next eighteen months the North and South nodes will straddle the Cancer/Capricorn axis. Our emotional energy is now being directed towards issues of security, of balancing our home and work lives. Achieving a good life balance is paramount at this time. Safety and the past versus achievement and the new will be pushing us to make choices. Spirit shows us, our lives are created by the choices we make. In each moment, we choose whether to align with love, optimism and action, or with fear, blame and conflict. If you can make consistent choices that align you with your dream of love, you WILL begin to experience it more and more as real, tangible, present. Those are the laws of the Universe. In fact, with Mercury R in conflict with Neptune this week, it’s likely we’ve missed some crucial guidance that was trying to reach us to help our journey to Unity. Look back and see – have you been getting repeating messages that could hold solutions or keys to progress? Share below with what numbers, symbols or dreams you’ve been getting! Next articleTwin Flames – A Supernatural Love?